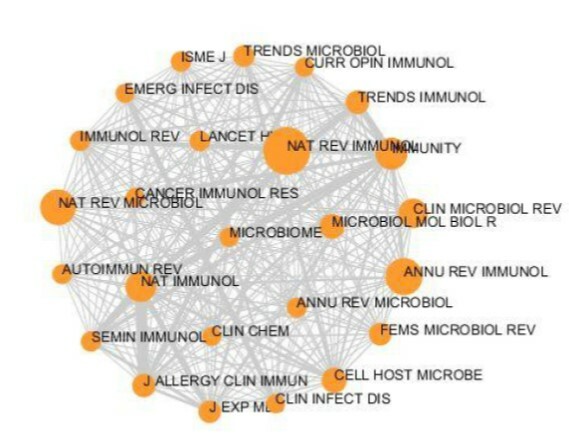 You can use Journal Citation Reports (JCR) to view the below visualization of the Journal Titles selected from "Immunology", "Medical Laboratory" and "Microbiology" Categories and ranked by Impact Factor. For more information on how to look up an impact factor, click here. AUB contains most of these Journals and more. Browse through electronic or hardcopy journals under "Health & Biological Sciences".